The following venues are available as additional Study Spaces from 08.30 – 22.00. The Academic Writing Centre is open today form 11am to 1pm in Group Study Room 3 on the top floor of thel library and in the evening at 7pm in the Colsultation Room in the foyer. Bring in your essays, drafts, notes, or even unixpressed ideas. The tutors are here to help you. This collection provides access to thousands of items selected from the John Johnson Collection of Printed Ephemera, offering unique insights into the changing nature of everyday life in Britain in the eighteenth, nineteenth and early twentieth centuries. Categories include nineteenth-century entertainment, the book-trade, popular prints, crimes, murders and executions, and advertising. The trial ends Saturday 14 April and it is accessible on campus only. If this resource is of interest to you, please complete the online feedback form available from the above link. The Academic Writing Centre will be closed on Monday 19 March 2012. 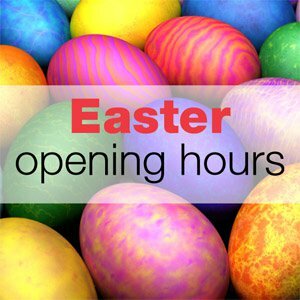 Normal opening hours will resume on Tuesday 20 March. We apologise for any inconvenience and hope to see you soon. Please address any queries in relation to the work of the Centre to writingcentre@nuigalway.ie. The Academic Writing Centre is closing soon. Make sure to visit the Centre before it's too late. There is no need to book an appointment (although you can do so on our website); simply call in during our opening hours. Bíonn seirbhís Ghaeilge ar fáil maidin Dé Luain agus maidin Dé hAoine (11.00-13.00). The Databases by Subject, Databases by Title, and Journal Article search pages are again currently suffering from intermittent access problems, particularly in the evening/at night. We are working with our software providers to have this problem resolved as quickly as possible. 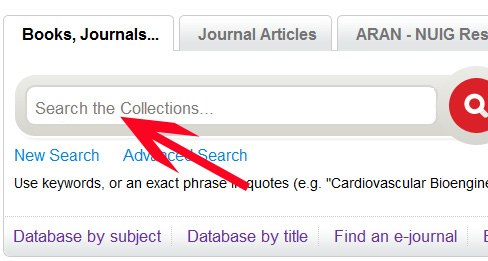 In the meantime all of our databases can still be accessed individually through the standard catalogue search (see below) and our journals can be accessed via the same search bar. We apologise for any inconvenience caused and are working to minimise any disruption. We appreciate your patience while we work to resolve the issue. All NUI, Galway ID cards now automatically grant swipe access to the Library Reading Room. Users no longer need to get ID cards validated by Security. It is reported today, that 200 years after publishing its first encyclopaedia, Encyclopaedia Britannica will this year cease to publish its print editions. The hugely successful online edition Encyclopaedia Brittanica Online will however continue to be published and is accessible to NUI Galway staff and students via the Library website. Encyclopaedia Britannica and the other reference works the library makes available is an excellent starting point when beginning to research a topic. Unlike Wikipedia and other free sources, the contributors to Encyclopedia Brittanica have been vetted and selected as experts in their field, and their contributions have been edited. This ensures that the information you get through Encyclopedia Brittanica is authoritative, reliable and well put together. Access Britannica Online via the Library. Find out more about the Reference Works available through the Library. An Academic Writing Centre tutor will be here to help you today at 7pm in the Consultation Room (on the ground floor of the library). The tutor will be able to help you come up with ideas for your essay, find ways to improve your grammar, and even offer tips on writing under pressure. The Academic Writing Centre is a drop-in-service. No appointments are necessary. All students are welcome. Throughout March and April the Library will host a photographic exhibition entitled Through a Swedish Lens. It contains photographs taken in Ireland during the 1930s and 1940s by four Swedish folklorists and writers, C.W. von Sydow, Ake Campbell, Albert Eskerod and Harriett Hjorth Wetterstrom. The photographs were taken all around Ireland and many depict the people at work as well as the interiors and exteriors of Irish houses at the time. The exhibition ties in with the Delargy Book Collection, the library of James Delargy (Seamus O Duilearga), Director of the Irish Folklore Commission, 1935-71. This collection contains over 4000 volumes on folklore, folklife and celtic studies. Delargy made a study trip to the Scandanavian countries in the late 1920s where he made contact with some of the scholars whose work is represented in the exhibition. This exhibition also connects with photographic material in other collections such as the Becker Collection and the Balfour Album. The Academic Writing Centre tutors would like to see more new faces at the one-on-one sessions. Whether you are struggling with an essay or would like to hone your writing skills, we are here to help you. Please note the location and opening hours of the Centre at http://www.library.nuigalway.ie/support/academicwritingcentre/. If you are not convinced, please see our film, The Night of the Living Deadlines, which is also available on our webpage. All quereis or suggestions are always welcome; our email is writingcentre@nuigalway.ie. There is an ambitious construction programme underway in NUI Galway, and some of it is located in the mid-campus area at the Arts Millennium Building (AMB) and James Hardiman Library (JHL). To separate staff and students from construction traffic, it will be necessary to close the footpath crossing from the AMB to the JHL steps from 08.00hrs to 18.00hrs weekdays and from 08.00hrs to 18.00hrs on Saturdays, starting Monday 5th March. During these hours, mobility impaired users can press the intercom button at that level crossing and a member of the building contractor staff will open the gates for them. All other pedestrian traffic should use the overpass bridge. Outside of these busy construction hours, the level crossing will be left open for general use. In parallel, a ramp will shortly be available to allow access from the JHL podium to the road level. The Buildings Office and its consultants will closely monitor this situation in conjunction with the Disability Support Service. The Buildings Office would like to apologise for any inconvenience caused during this important construction work and we welcome feedback by email to projects@nuigalway.ie. The James Hardiman Library Database list pages and Journal Article search pages are currently suffering from intermittent access problems, particularly in the evening/at night. We are working to have this problem resolved as quickly as possible. In the mean time all of our databases can still be accessed individually through the standard catalogue search and our journals can be accessed via Find e-journal. We apologise for any inconvenience caused.